YellowPagesGoesGreen.org is helping municipalities and local governments around the country establish ordinances to mandate Yellow Pages and White Pages only be delivered to home and offices that ask for them. 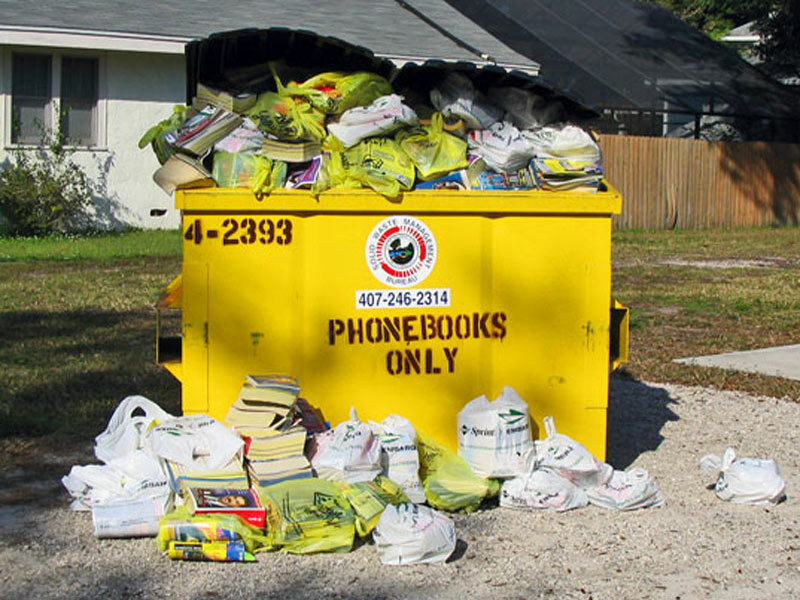 Municipalities and local government that provide trash services are extremely concerned about the landfill cost and why they have to absorb the cost of handling the telephone directories. Yellow Pages Goes Green supports this mission. 2) An alternative Ordinance being looked at is to require the telephone book to be delivered in a plastic bag and the directory company has to come back the following week to pick up the old book that has been placed in the reusable bag. 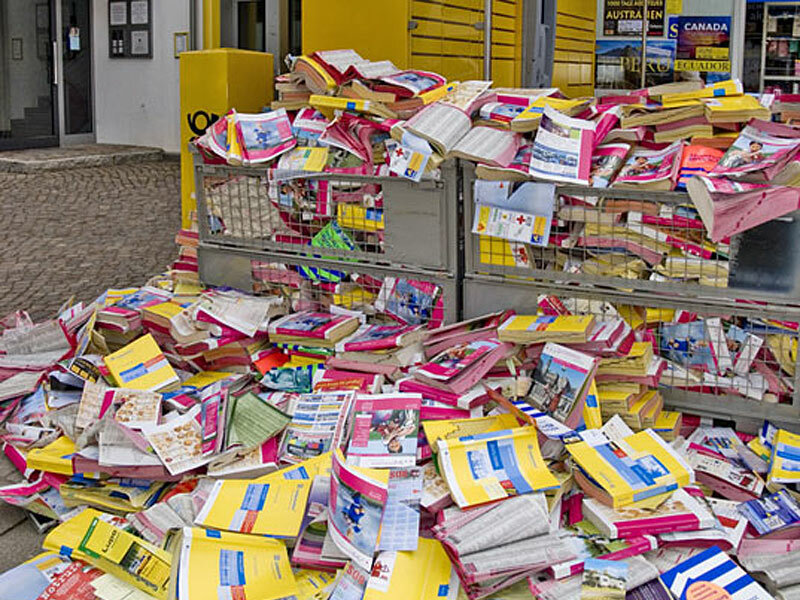 3) Building and Property owners are banning the bulk delivery of Yellow and White Pages to their facilities. They are tired of having to handle the books and the cost associated with the ones left over and old books that end up in their trash dumps. 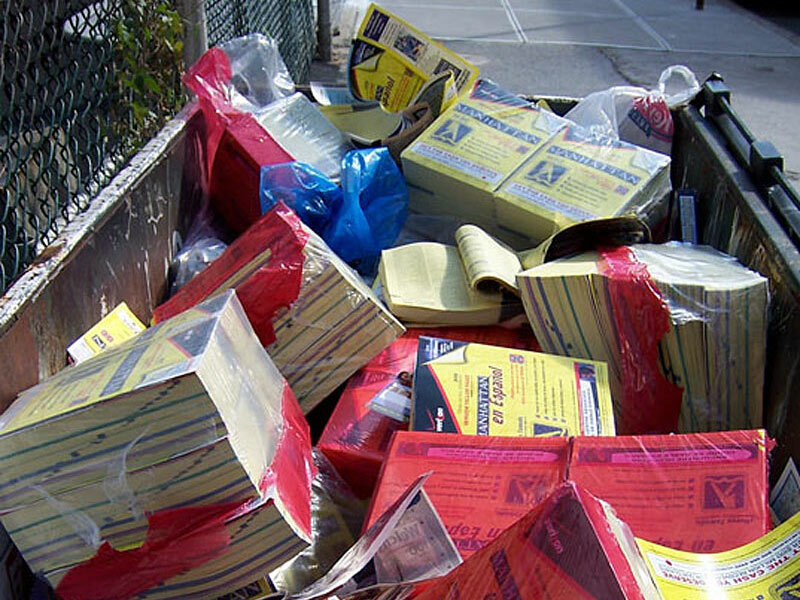 4) Some Cities and Towns are looking to stop the delivery of Yellow and White Pages books and are using their litter laws as the tools to enforce their efforts. 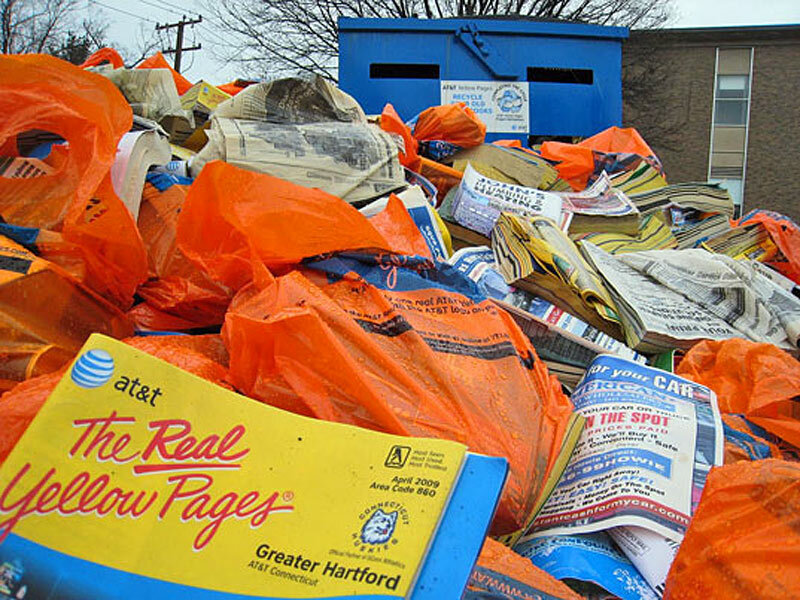 YellowPagesGoesGreen.org asks the question "Why do we get three to four pounds of paper dropped on out front door four to six times per year by various telephone directory companies and we are supposed to dispose of them?" Stop the nonsense and the cost placed on the consumer. If we want a book we will request one. If we do not want a book delivered, stop delivering them! YellowPagesGoesGreen.org had spent years contacting local telephone companies to provide them with consumers names and addresses telling them to stop the nonsense. This did not cost users anything. Please use the new opt out link to help eliminate this problem. Support the Movement by adding a business - Click here for FAQ's.... See other resources and news.